Supporters of the opposition Kuomintang cheer in Kaohsiung, Taiwan, Nov. 24, 2018 (AP photo). 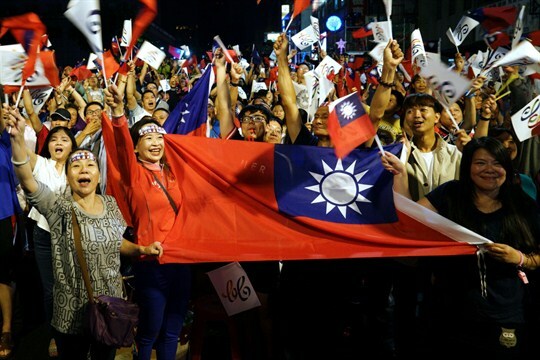 Taiwan’s ruling Democratic Progressive Party, or DPP, suffered a historic defeat in local elections last weekend that were overshadowed by an extensive Chinese interference campaign. Taking responsibility for her party’s midterm drubbing, President Tsai Ing-wen resigned as DPP leader on Saturday night, casting doubt on her prospects for winning a second term in national elections set to take place in early 2020.